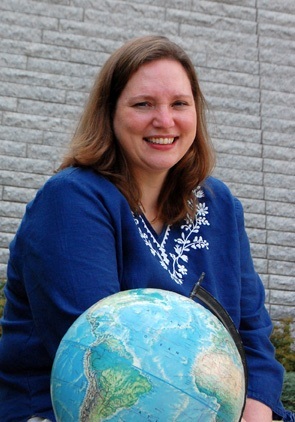 I am an Assistant Teaching Professor for the Department of Geography and housed within the John A. Dutton e-Education Institute. I have been teaching introductory and software-intensive GIS courses in some form or fashion since 1998. My primary responsibility is to teach courses within the Penn State Online Geospatial Program which offers seven programs of study in GIS and Geospatial Intelligence including a Master of GIS and a Certificate in GIS. I have a Bachelor's degree in Public Administration and a Master's degree in Geoenvironmental Studies from Shippensburg University and I have over 20 years of experience as a GIS professional. In addition to teaching courses at the Dutton e-Education Institute, I have worked in the Geographic Information Analysis (GIA) Core for the Social Science Research Institute (SSRI) and Population Research Institute (PRI) at Penn State. The GIA Core works to support research activities by facilitating the use of geospatial data in the social sciences. Prior to joining Penn State, I worked as a GIS Project Manager/Instructor for the Institute for Transportation Research and Education (ITRE) at North Carolina State University, a GIS Project Manager at a private civil engineering firm and a GIS Analyst at Mapquest.